1995 through to 1999 was something of a whirlwind period for me, as a direct result of how gaming was evolving, let’s say. So much happened inside those few short years, but one thing I’ve seen that has endured beyond reasonable expectation has been this peculiar thing called Pokémon. You see, I unknowingly smuggled the first news of Pokémon – or Pocket Monsters as it was known back then – into the UK after visiting Japan in November of 1995. I'd been on a press trip to cover the Nintendo-hosted Shoshinkai show, during which shiny new Nintendo 64 (or Ultra 64, if you prefer) was officially revealed. Of course, most of the attention was on that amazing new console – who could ignore Super Mario 64, and the rest of that early line-up? Nintendo 64 utterly dominated the December issue of Computer & Video Games magazine, which I was editing at the time. 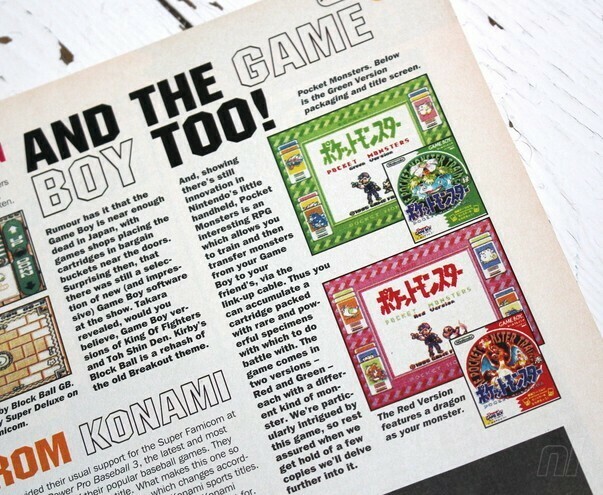 However, amid the press materials – which in those days comprised of 35mm transparencies and high-quality photographs to scan – were a few images of the Game Boy title Pocket Monsters, with two versions: Red and Green. Our deputy editor, Tom Guise, quite liked the idea of this unusual game that featured little creatures that could be nurtured and trained for battle. We ran the smallest of news pieces, largely to keep Tom happy (quiet) as much as anything else. He had a hunch. We believed in those. All went quiet on the Pocket Monsters front for roughly a year. I returned to Japan to spend New Year with my eventual in-laws at the turn of 1997. Tamagotchi was the big thing then, and my wife and I queued for hours to collect our commemorative gold and silver editions, much to her parents’ bemusement. 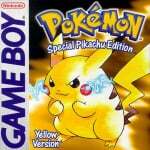 However, also emerging from stores were these small clusters of junior school kids clutching their battered monochrome Game Boys, sporting Pikachu winter hats while assorted ‘Pocke-mon’ (the abbreviated form of Pocket Monsters, and not officially a name yet) mascots could be seen dangling from the bags of older children. Well, it was good to see that Tom’s thing was taking off. 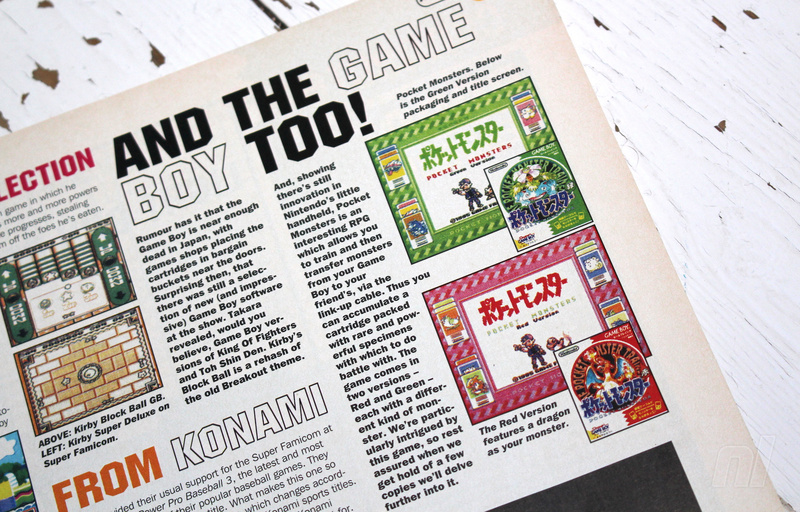 While I was heading up C&VG, we had a guy based in Tokyo called Warren Harrod, who – as our ‘Man in Japan’ – would mostly visit publishers on the magazine’s behalf. We were also very fortunate that Warren had his ear close to the ground, so to speak, and his eyes fixed on everything that was wonderful and emerging in the world of anime and broader youth entertainment. 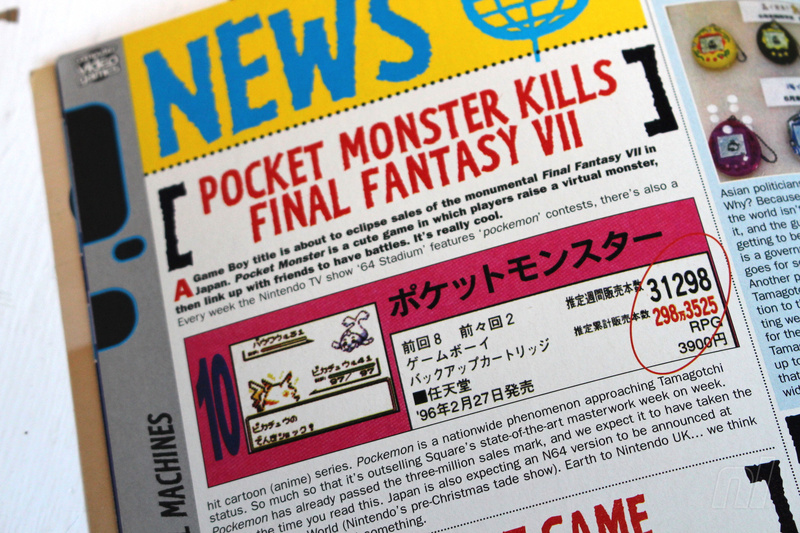 Even he was surprised at the speed at which 'Pocke-mon' gained momentum in the wake of the first dedicated anime series, which started in Japan in the spring of 1997. Now, C&VG (we liked to think) was the home of cool fighting games, mind-boggling racing games and basically anything that could be considered cool in the world of gaming – stuff like Virtua Fighter 3 or PaRappa the Rapper, that kind of thing. 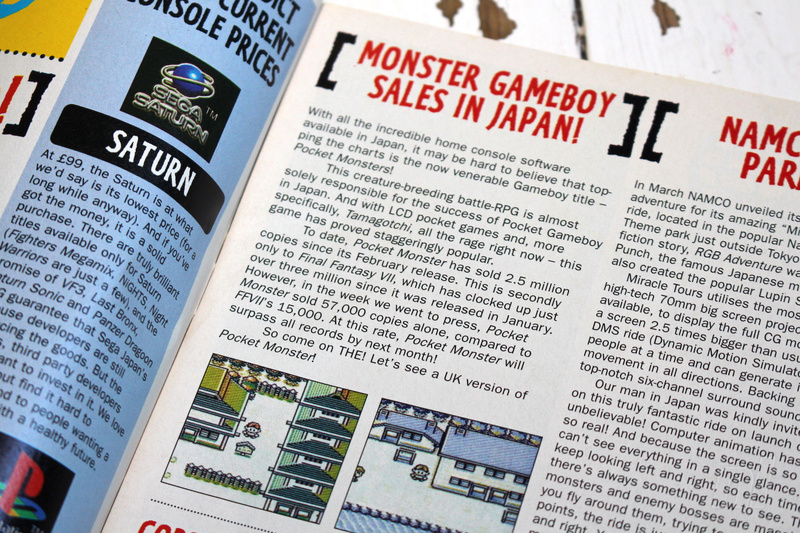 But here was Warren literally begging me to run a feature on the Pocket Monsters craze that had gripped the Japanese nation. It was no longer just the Game Boy thing; in addition to the anime which had brought Pocket Monsters vividly to life, there was the collectable card game and all manner of must-have merchandise. At this point, the team agreed that this could be a fun thing to read. After all, we’d run stories on Tamagotchi, which we’d then seen come to the UK, and a 'Next Big Thing' was always welcome. To add to this, Warren’s article was very sweet. He’d been allowed to interview his friends’ kids playing the CCG at a 'Pocke-mon' party of sorts. I was fortunate to attend Nintendo’s Space World show in November 1997, where the N64 game that allowed kids to talk and play with Pikachu was first shown (known as Pikachu is Fine in Japan, but you might know it better as Hey You, Pikachu). The impact was utterly astounding. Crowds of bedazzled children and their parents gathered to watch the stage presentation. I remember that the café which overlooked the Space World show floor was also rammed with people with their faces pressed against the window, keen to confirm what friends had been telling them. The look on the kids’ faces when Pikachu responded to their words was unforgettable. This felt like real magic. After spending another incredible New Year in Japan for 1998 – where Pikachu lunch-boxes, manga, mascots and train-station snacks were now the norm – it was clear that this 'Pocke-mon' thing had become a social revolution of sorts for Japanese kids. 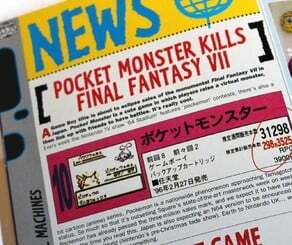 I had also learned that Pocket Monsters was to be released in the US that year under the name 'Pokémon'. 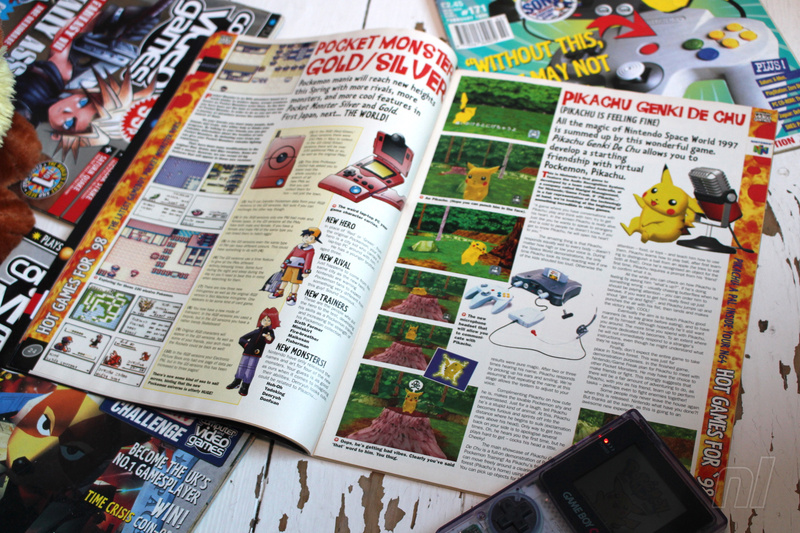 Having followed its progress for the past couple of years, I asked to speak with our Nintendo contacts during E3 1998, specifically about the series and how great it would be to make C&VG the home of Pokémon; after all, we had been pretty much the only UK magazine to give the series significant coverage and we considered ourselves to be reasonably well-versed in all things Pocket Monster. 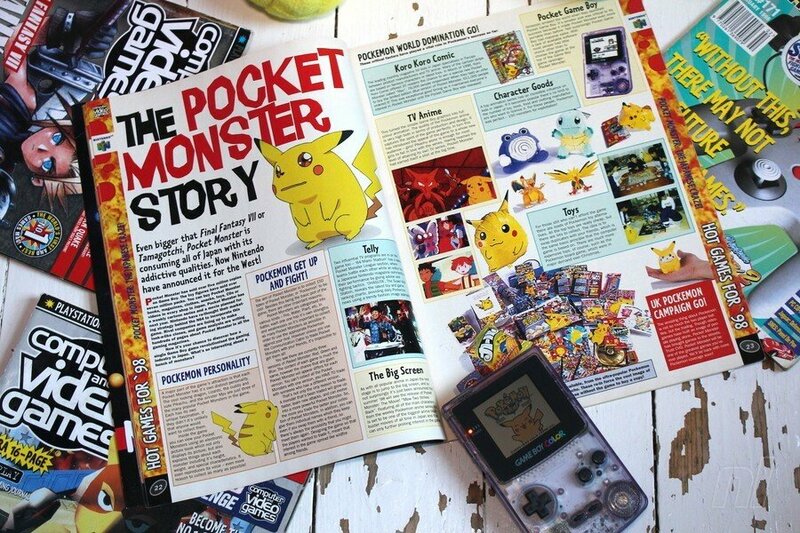 No word of a lie, I had to explain to my Nintendo UK friends about why Pokémon was so cool, what it was all about, and the ways in which we could write about it in the magazine. For them, several months away from the US launch, Pokémon was probably just another name on a list of titles with a certain amount of allocated budget. I probably seemed a bit crazy. I picked up both Pokémon Red and Blue as imports the day they were released. I went ahead and played this thing that had been bubbling under in the West while it raged in the East. Sure enough, the US went nuts for Pokémon, and at this stage the UK arm of Nintendo saw for themselves the potential. Sadly, C&VG didn’t get any official support, despite all of the groundwork we'd done pushing the game in the UK since 1995. 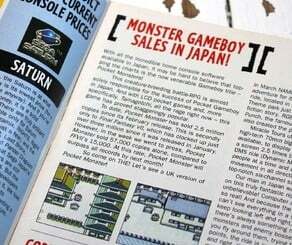 Of course, the honour went to Nintendo Official Magazine, which was published by the same company as C&VG, EMAP Images. It was a real blow, but I do suspect that I had the guys at Nintendo UK to thank for putting my name forward for a mainstream TV interview on the subject, however. This would’ve been in 1999, I guess. Fairly sure it was ITN, a breakfast news item. Basically, the questions were along the lines of ‘What is this Pokémon thing’ and ‘How long will it last?’ While I couldn’t have predicted 20 years of Pokémon passion outside of Japan, it was clear to me that it was here to stay. It wasn’t so much that it was breaking the banks of parents whose kids had gotten involved. Mainly, it was obvious that the likes of Pikachu, the mysterious Mew and darling Togepi had found their way into our hearts. I’ll confess to listening to Japanese Pokémon songs on my way into work. I spent an entire holiday beside my wife with my face stuck in Pokémon Yellow. I had this awesome Pokémon Center Pikachu rucksack that I proudly paraded on the London underground. At work, I replaced all of my Mac alerts with Pikachu wav files – my email alert was literally 'Pikapikpika', which must have driven my co-workers crazy. I was a fool for Pokémon for a long while, but I loved it. Though I can’t excuse such behaviour at the age I am now (it was barely acceptable then), I now have my own little boy who tells me all about this thing that he’s discovered, and how cool it is, and please can he have it for Christmas. I don’t need to tell you its name. I wish the site had more articles like this. Great article. I remember I was working in WH Smith when it came over here and all we heard about at the time was Pokemon. Trading cards, games, magazines... It was a phenomenon. Great piece. Pokémon wasn’t to be found where I lived, so I found a ROM online to see what the fuzz was all about. I spent that entire holiday playing a black and grey GB game on a 17 inch PC screen. Awesome article! So good to see the new generation experience the excitement and fun of Pokemon! I was amazed by pokemon when I watched the 1st episode of the anime. Many years later I found out about the games and now I can't get enough of Pokemon. Man, I miss gaming from the 90’s, the lack of internet, the wonder. I’m such an old codge. @GravyThief yeah, one of the downsides to the internet was making it to easy for people to find guides without trying to figuring it out themselves. I remember the anime coming out before the game I thought the show was the bomb even before playing the game. @AhabSpampurse I'm sad I ditched my copies too. Two of the greatest gaming mags of all time imo. @GravyThief don't "coax" her, let her dicover amd like what she wants,bdon't push her, if she likes it then good, if not that's good too! Don't push it onto her, she can discover things she likes on her own. Just let her know you'll always love her for who she is, because it's her, no matter what she likes. I know you like video games, just like me and most of us, but we shouldn't make our kids feel that we love video games more than them, or that we're just obsessed about making them like it. i know it's may be not true, but kids can think that. Okay i may have gone over overboard with this sry, hwck i'm not even a father or at the age of being able to handle having kids i think. @Raphi7 coax probably wasn’t a good word for me to use! Of course I won’t push her in any way, she will like what she likes and that’s fine by me. If it happens to be games, I’ll be very happy. Given how she already tries to grab controllers from me when I’m playing in front of her, I think she may already be a gamer. The best was when I handed her an unplugged SNES controller when I was playing for real, she was bashing it alongside me. It was so adorable, I can’t wait to play games with her for real. 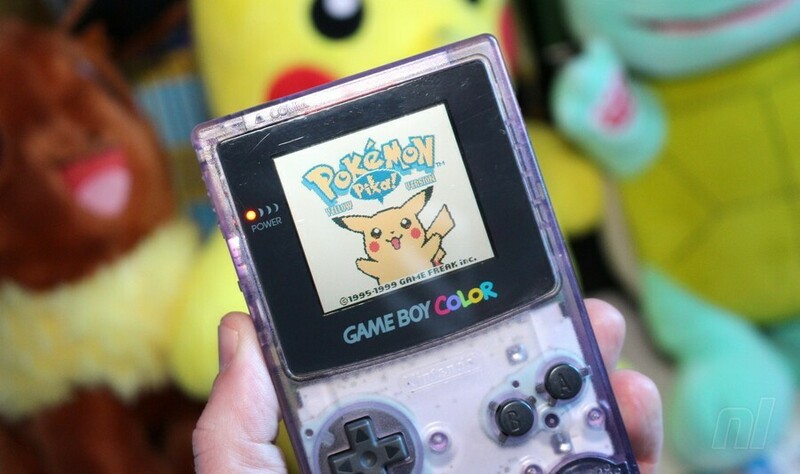 I was 9ish 10 when pokemon came out.. we were all obsessed.. i played yellow red and blue back then.. played silver not too long ago and just recently started to play X and Moon.. there's so much i don't know but I'm enjoying jumping back in.. Moon is amazing it's come such a long way! My young cousins introduced me to Pokemon. I couldn’t believe that the game was possible on the GameBoy. Been playing ever since. The feels when my two young children beg me to play Mario, Donkey Kong, Kirby, Arms or Legend of Zelda. My daughter at almost five shows a real ability for 8/16 bit Mario. Judging from there reaction to the Sushi Strikers sushi sprites I feel I'll be adding Pokémon to the list. "I don’t need to tell you its name." I was about as obsessed with pokemon as most of the other kids at school. Watched the anime, had some cards, and obsessively bred for perfect IVs and countless hours of hatching eggs. I never played after Crystal version, so my knowledge was pretty limited to the first 251. Even so, I'm a good 20-25 years older than my nephews, and I can tell that they're about at the same level of interest that I was at as a kid. I can help them with type advantage and moveset building, but of course they know about an extra 600 new pokemon that I am clueless about, and they're far more into the TCG than I ever was. Pokemon Go has really given us something to bond over now that he's entering his angsty pre-teen phase, whether it's sending presents, doing raid battles together, or trading him my shiny/rare pokemon for him to show off at school. Of course there's a lot of other franchises from MY childhood we can nerd out about like Power Rangers, Batman, Ninja Turtles, etc... but nothing goes quite as in depth as Pokemon. 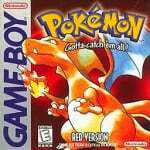 I distinctly remember the birthday when I got my copy of Pokemon Red. The family had taken me to Chuck E. Cheese's (long before the classic rodent was replaced with this current strung-out looking rat mascot). We had pizza, and my first ever Pokemon was a Bulbasaur. I’m always amazed at the snartassses today who always post on Pokémon article “Pokémon is sill a thing?” As if they’ve been living in a cave for the last 20 years. The other is those who continue to refer to it as a fad. No. Furbie was a fad. Hatchimals was a fad. Pokémon is now a legit institution. You do know that the UK is not "the world", do you? Great article! Everyone from back then has a pretty cool story to share like this one. Thanks for posting this. An awesome read! I think a lot of the magic of games is lost on my generation... Discovering something new and weird is always amazing. My exact thoughts. My newborn son hopefully is a gamer ha. I was a 90’s kid and the lack of internet being truly mainstream and the finding out about things in games, discussing with friends at lunch was dope. All that is gone now lol. Pokemon was like crack when I was in 3rd grade in 1998. Kids were selling the cards and playing the game boy games all day. It was a phenomenon I’ll never forget and probably never experience again. I remember watching the anime as a kid at like 6 am on Sky One before SM:TV Live picked it up and loving it and imagining how it would work as a video game- totally unaware that it was based on a game in Japan, so when I saw an advert for a Pokemon game on Gameboy I lost my magical fairy wand, I used to stick the adverts from game magazines up on my wall and everything! The first and last time I was fanatical about something! I still pronounce it 'Pocke-mon'. It is not 'Poke-it Monsters'. I remember reading about pokémon before it came out. I got the red version day one. Now I can play let's go with my son this week. He knows all about the new pokémon and beats me all the time on pokkèn tournament on switch. "Sure enough, the US went nuts for Pokémon,..."
...And a pretty accurate picture of what happened over on this side of the pond. XD Pokemon was THE thing for the longest time when I was a kid. I have yet to have the same magical feeling playing any video game as I had playing Pokémon Red for the first time. Not even close. There is absolutely nothing wrong with expressing your hobbies as an adult. My father continued building model cars, collecting Hot Wheels and watching the 1960's "Lost in Space" (for which he had all sorts of collectibles, even dolls of the characters) right up until his health finally stripped those hobbies from him. He was nearly 60 years old. I despise this idea that once you become an adult you must cast aside your hobbies, or hide them from "normal people". While it's true that society demands a certain level of tact, that doesn't mean you must or should hide what you enjoy. So long as you aren't hurting anyone or yourself then you should be fully able to be yourself at any age. And SHAME on anyone who tells you otherwise! 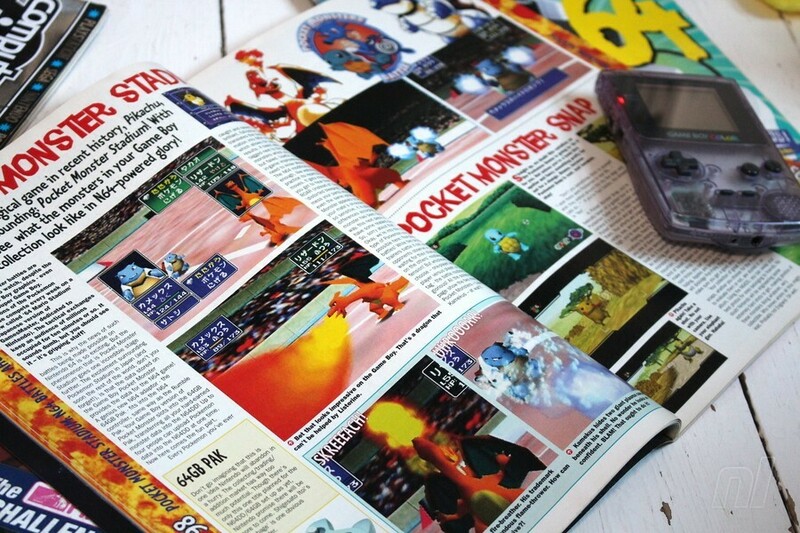 N64 Magazine also had fairly extensive coverage of Pokemon from before the Japanese release onward. Have you watched Dino Charge? It’s absolutely brilliant! Gotta love the beta screenshots of Pokémon Gold & Silver though ^^. I remember reading about pokemon red and blue in Nintendo Power (this was before it was released in America). I was in high school and I knew that was a game I was going to get. I bought it and was hooked but no one seemed to know what it was. Sometime later the show came to local cable and suddenly everyone knew what it was. I always say I liked it before it was cool. @Heavyarms55 "We don't stop playing because we grow old; we grow old because we stop playing." I actually just don't care what other people think about my likes and dislikes nowadays. But I do remember being 26 when Pokémon released and a little more conscious of other people's opinions, I missed out on trading for the first couple of games as I daren't approach young children!!! Eventually as my nephew got old enough I convinced him to play so I could trade etc. But in the end I ended up playing the game for him so I could steal all the things I wanted. Such a lovely article, especially the last few sentences. As someone who has been riding the Pokemon hype train since the release of Blue and never stopped playing I am introducing my son to Let’s Go Pikachu this week and am so emotional about sharing one of my deeply held passions with him (Both Pokemon and gaming as a whole). @dew12333 Haha, that is reasonable. I actually just traded myself rather often, since the GBA was fully backward compatible as soon as I got a GBA I was able to trade between my own games. I love retrospective features like this!!! I remember jumping on board the Pokémon bandwagon when it first hit Canada. My friend got Blue Version, I got Red just so we could trade exclusives back and forth. Ohh that tangled mess of the GBC Link Cable! HAHA! Fond memories. While I never really got in to the Trading Card Game (again, outside the GBC video game adaptation), I've been onboard with the Pokémon video games ever since. Now I'm 32 (oy) and I can't wait to pop in Let's Go Pikachu in to my Switch at the end of the week. My gaymer hubby and I regularly play Pokémon GO and we've been re-visiting the Virtual Console releases as well as keeping up with the games on DS/3DS! And we'll still be there when the core RPG gets released later in 2019! Gotta Catch Em All!!! !